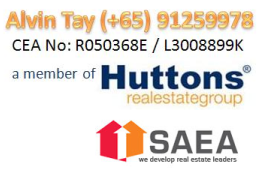 Minimum loan of $200,000 SGD equivalent. Loan up to 70%; up to age 75 years or 25 years loan tenor whichever is earlier. Additional charge of 10% of the scale fee (Subject to a minimum fee of RM200 and a maximum fee of RM 1,000) each subsidiary instrument. Stamp duty of RM 500 plus RM 10 per duplicate copy of the document. For OCBC, the letter of offer will be stamped at RM 500 plus RM 10 for duplicate copy. -Convenience of over 55 branches in Singapore to provide for client banking needs. -Cheaper stamping fee for OCBC Bank Singapore at RM 500 over other banks. SMS 'OCBCSGBank’ & YOUR NAME TO (+65) 91259978 to get in touch with a Banker-Lawrence Tan from OCBC Bank Singapore.